"At the Paris Museum of Decorative Arts Costume Collection’s Centenary Gala, Sydney arrives wearing an updated vintage gown created by Tyler Wentworth® just for the occasion. 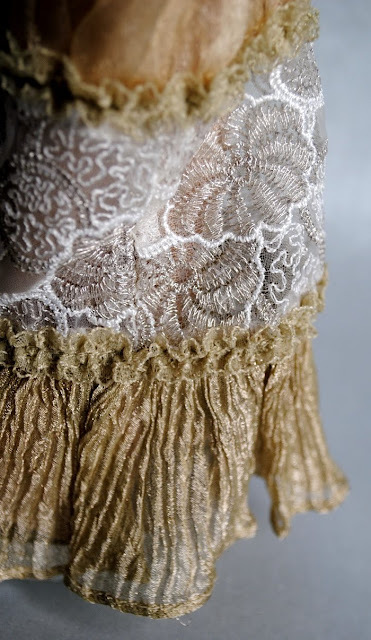 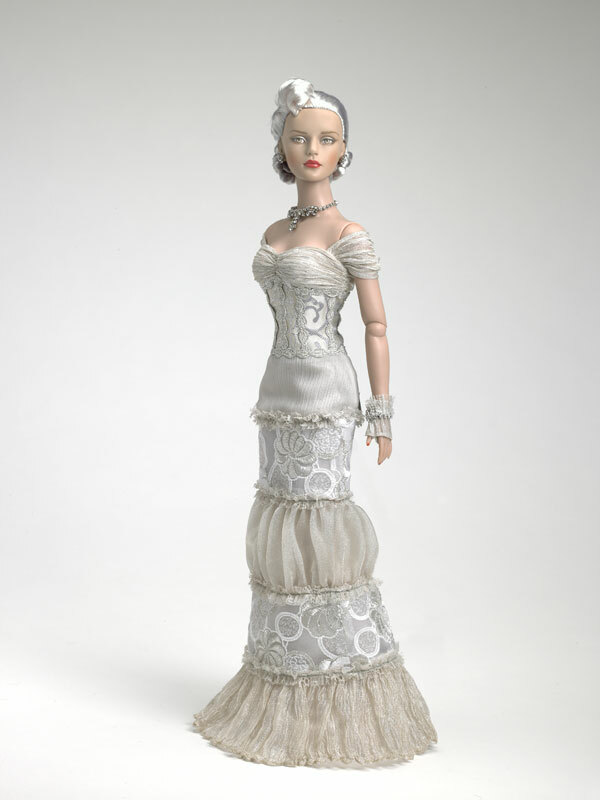 The multi-tiered gown consists of layers of embroidered organza trimmed in silver braid, and crinkled organza and metallic chiffon, trimmed in horizontal rows of ruffled lace"
says her official description from Tonner's site. 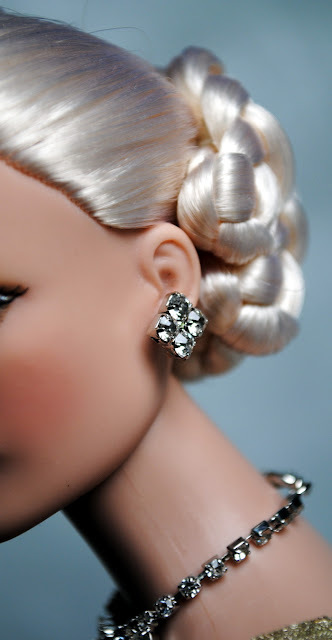 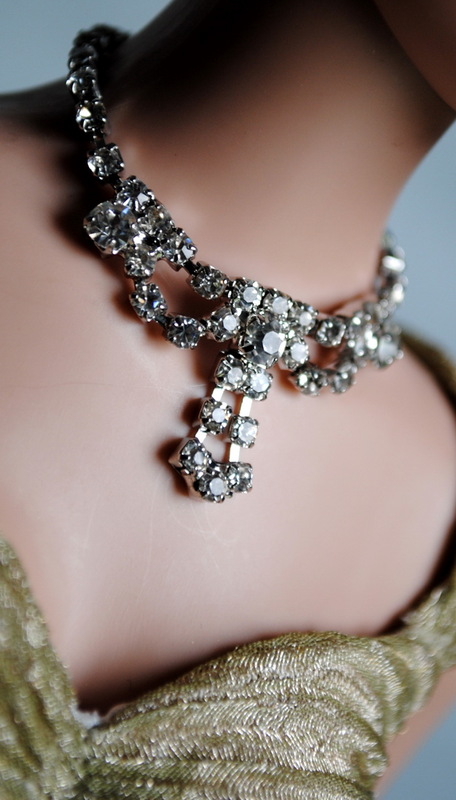 Classic Elegance is one of my fav Sydneys of all times, in this post I will present her outfit and accessories, and in the next one - her face-up and hair. 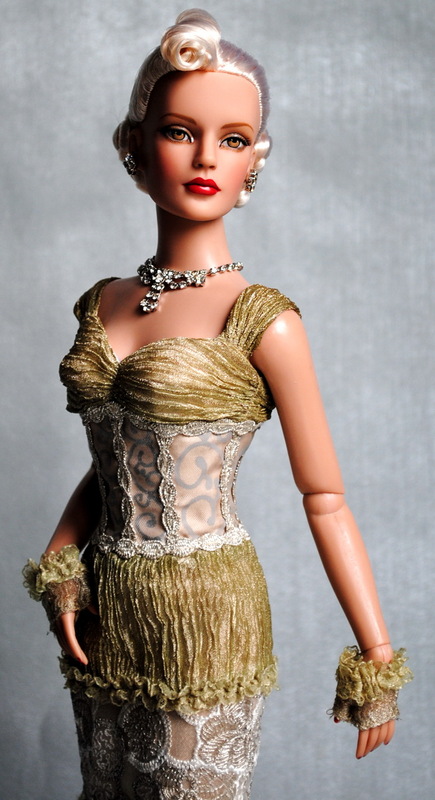 I love this doll. Your photos are amazing!